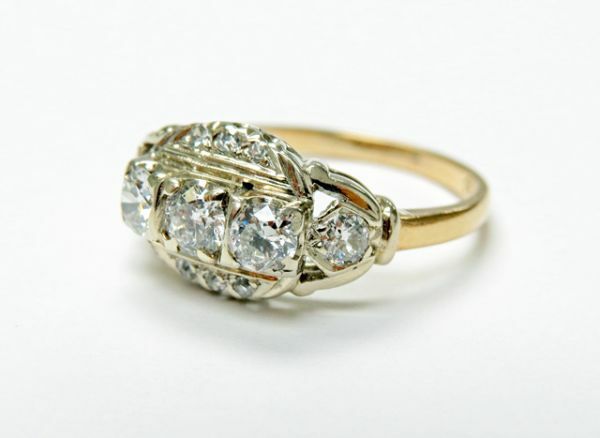 A beatuiful Art Deco 14-18kt yellow and white gold ring with 1 old European cut diamond, est. 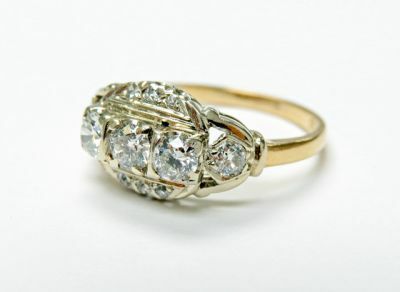 0.25ct (clarity VS & G-H colour); 4 old European cut diamonds, est. 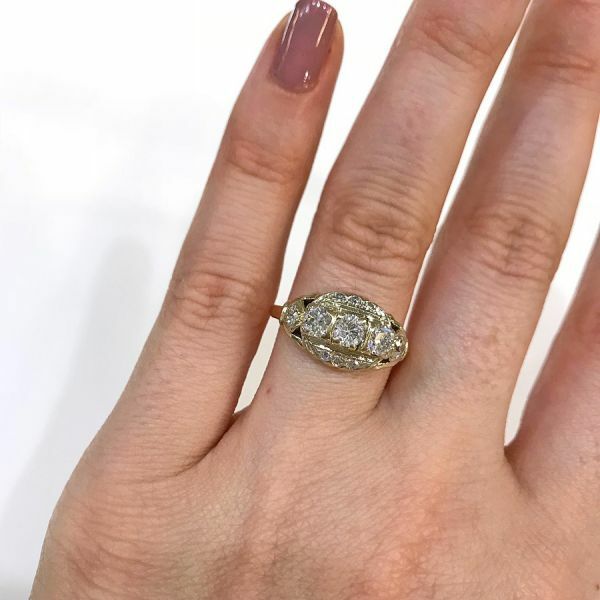 0.58ct (clarity VS & G-H colour) and 6 old European cut diamonds, est. 0.03ct (clarity VS-SI & G-H colour).